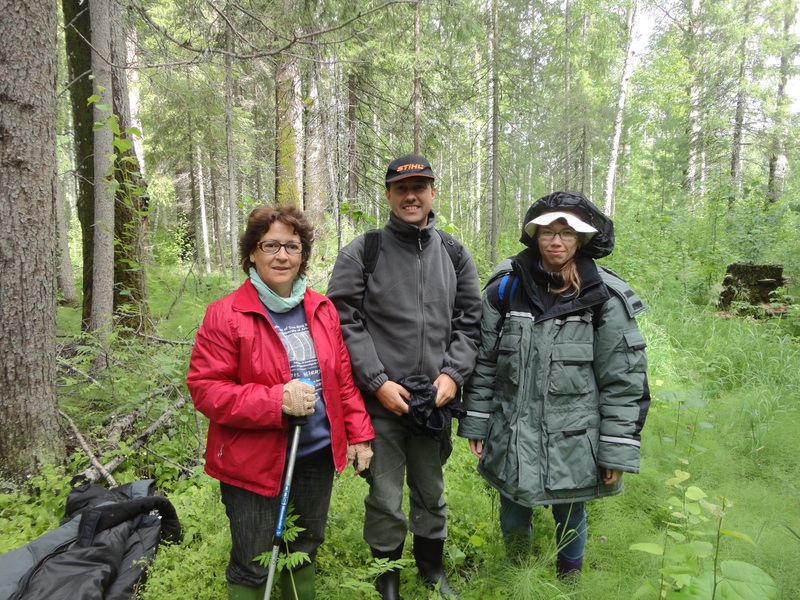 Dendrochronology and forest genetics scientists Geordie Velasco of University of Barcelona and Emilia Merino of University of Lleida with Tatiana Shestakova, a post-graduate student of University of Barcelona came to Khanty-Mansiysk to do field researches within the INTERACT project. Two field stations of Yugra State University located in Shapsha and Mukhrino participate in the project. During ten days of their stay they will gather material for making up a chronology of tree species in West Siberia in order to analyze an impact of the global warming on forest yield synchrony over the last 400 years. The meeting between foreign scientists and representatives of the Institute of Environmental Management and of the UNESCO Chair «Environmental dynamics and global climate change» took place on Shapsha field station on June, 16th. Guests have given details of their research’s methodology. They analyze the annual ring increment depending on the region of habitat and tree species. They made a conclusion that there is an increment fall at poor synchrony level in Spain. This is caused by high temperatures and droughts that have become a real misfortune for their country. There is a reverse situation in Central Siberia, the forest yield has increased and synchronized over the last 100 years. That is also a result of the global warming since more favourable conditions for forest yield occur due to an average annual temperature rise. Currently the scientists are about to compare data obtained here with results from West Siberia in order to discover possible patterns for forest yield synchronization. This entry was posted in Uncategorized and tagged dendrochronology, INTERACT, University of Barcelona by yugraschool. Bookmark the permalink.